Adaptable. Powerful. Good for business. 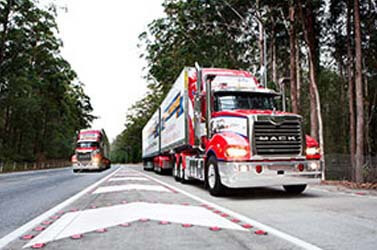 The Mack Trident is a familiar sight on Australian highways and with good reason: it's a versatile truck that can handle just about anything. One of our biggest-selling models, the Mack Trident is hugely popular in the demanding long-haul and heavy construction sectors. In the 6x4 Axle Back configuration the front axle is 1,297mm from the front, providing the turning circle and weight distribution you need for long-haul and logging, where correct weight over the steer axles is critical. 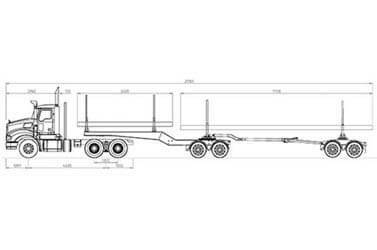 This configuration allows for a GVM of up to 26,000kg and a GCM of up to 131 tonnes. 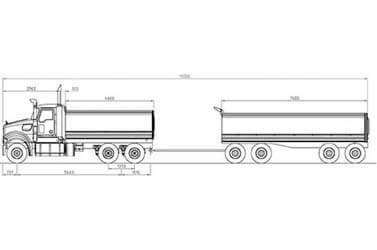 In the 6x4 Axle Forward configuration, the front axle is 737mm from the front, perfect for extreme axle measurements to maximise the payload of tipper and dog configurations. 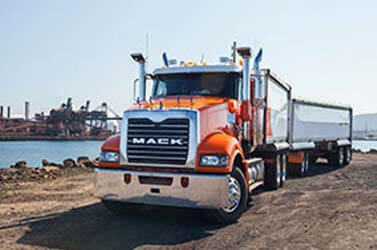 The Granite is powered by the Mack MP8 12.8-litre engine. 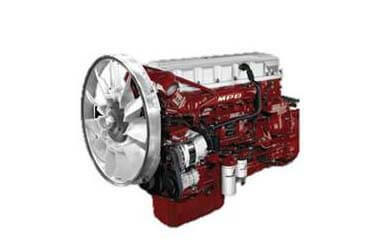 The MP8 produces from 500 to 535 hp and 1,840-1,920lb-ft torque. The MP8 uses Selective Catalytic Reduction (SCR) technology to comply with Euro 5 and ADR 80-03 emissions standards. 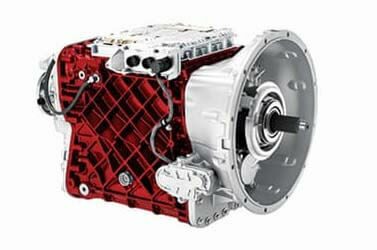 The sensational Mack mDRIVE fully-automated manual transmission comes as standard on the Trident. 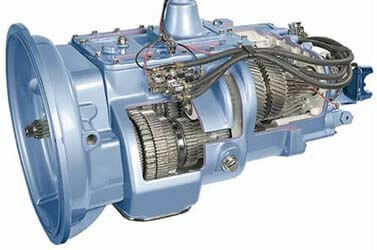 If you're after a manual, you can fit an Eaton transmission offering a torque capacity of up to 2,250ft-lbs. 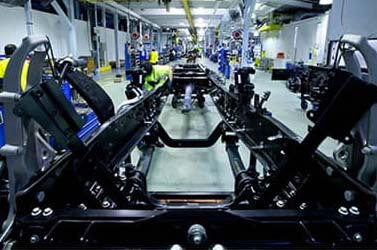 The Trident's wheelbase depends on whether you need the Axle Back or Axle Forward model. Tridents are hard at work in construction and mine sites across the country. Fitted with a high-rise sleeper cab for long journeys, the Trident thrives out on the open road. 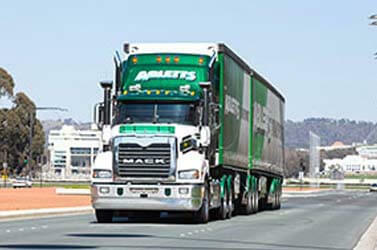 You'll find Tridents on the highway hauling 34 pallets from Brisbane to Melbourne every day of the week. At JT Fossey we are more than just Tamworth's favourite truck & car dealer. We have been serving motorists of the North West since 1937. If you can't find what you are looking for, or just want more information, please give us a call, send an email or drop in to our showromms and we would be happy to assist. This is a certified website.